Five new and different Father's Day gift ideas. Home » Father » Five new and different Father’s Day gift ideas. Five new and different Father’s Day gift ideas. It’s still early enough to sift through catalogs or go online to find a fun gift for Father’s Day. Here are a few things we’ve seen in the past few months that might make a different kind of gift. 1. For golfers – Personalized golf club grips. Golf Pride, among others, makes grips in different types that can be engraved with dad’s name, or you can buy them pre-engraved to say “#1 Dad.” Golfing dads always appreciate new grips, since replacing them is a task that’s easy to put off. Personalized grips also lower the risk of losing clubs left strewn (or thrown) across the fairway. Custom engraving ranges from $61.99 to $122.99 at www.GolfPride.com . 2. 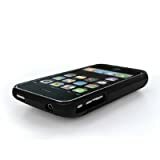 For iPhone dads with little kids – Mophie makes the Mophie Juice Pack Air, a slim case and extra battery for the iPhone 3G and 3GS. This battery pack both protects the phone and provides an additional 6-9 hours of video playback or from 5.4 to 8 hours of internet use. This can be a lifesaver on a long trip when junior wants to “play on the phone,” wiping out all the juice you need for an afternoon conference call. 3. For Dads who need a project with the kids. 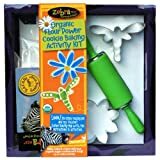 Take a look at the Zebra Mix Organic Cookie Baking Activity Kit. Developed for small kids to make cookies on their own, this kit makes a simple project dads can do with kids around 10 years old. I helped my daughter (minimally) make sugar cookies one morning, and while she was able to do most of the work, following directions and making the cookies, it felt like something we were doing together. This isn’t a gift for all dads, but every dad likes a good cookie, so it might just be a way for the kids to actually make the cookies for once. Also available in a cupcake edition. $22.99 on Amazon. Whatever you decide this year, chances are it won’t be a new tie or an ashtray.4. For new dads with even less time in the morning. I used to enjoy a nice shave in the shower or with lots of lather in the bathroom sink, but post-kids, sometimes I just don’t even get around to it. That’s where having a good electric shaver is an unexpected lifesaver. The shaver is something I never used before kids, but use almost every day now that my daily routine has been thrown upside down. I’ve had good luck with the Remington, but there are lots of models to choose from, many of which are pretty cheap. The shaver pictured here did just as well as a premium shaver by Braun cosing $65 more, as reported by Consumer Reports. While electric shavers used to be a standard gift for dads, they aren’t as top-of-mind anymore and make for a nice and surprisingly useful gift. 5. For disaster-prone dads. The radio keeps reminding us that we’re all in for a huge disaster some day, though maybe that’s more true in California than elsewhere. But if there’s one thing Katrina made really clear, it’s that it might be several days before help arrives in a major disaster of some unknown type. We all should have a disaster plan and kit. Help dad tick this item off his to-do list by ordering one large or four small disaster emergency kits filled with water, blankets and staples. For some dads, this will be one less thing to worry about late at night since this is a duty that usually falls to the man of the house.